Janaagraha Centre for Citizenship and Democracy (www.janaagraha.org) was founded by Swati Ramanathan and Ramesh Ramanathan in December 2001. It is registered under the Indian Trusts Act, 1882. 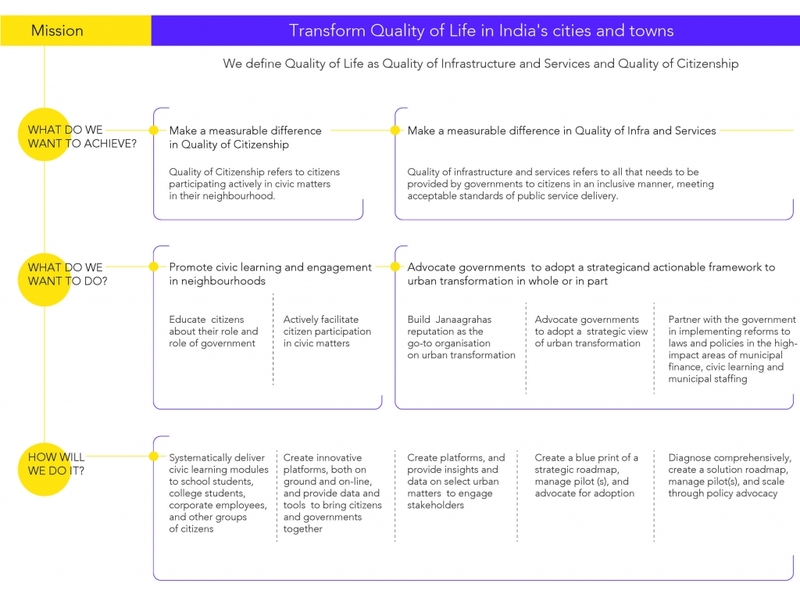 Janaagraha’s mission is to transform quality of life in India’s cities and towns. 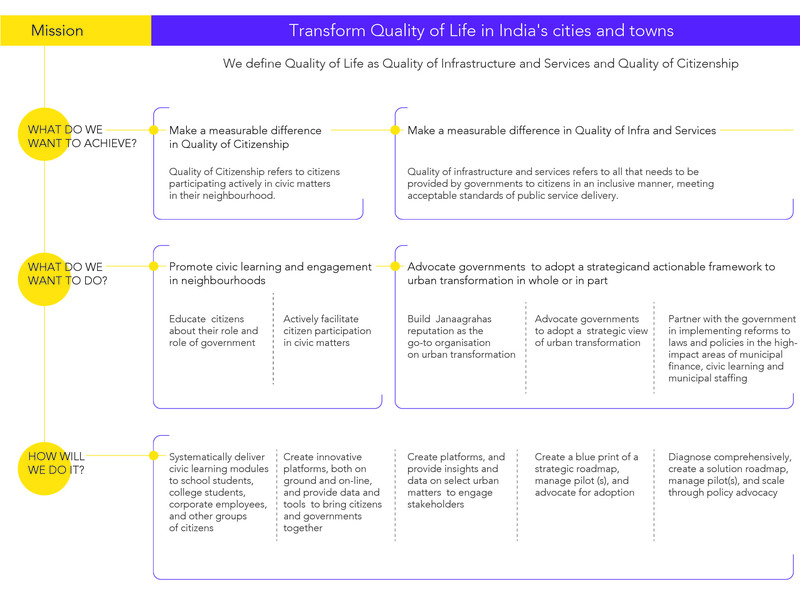 We work with citizens to catalyse active citizenship in city neighbourhoods and with governments to institute reforms to city governance (what we call “city-systems”). Civic Learning, Civic Participation and Advocacy and Reforms are Janaagraha’s three major strands of work to accomplish its mission.